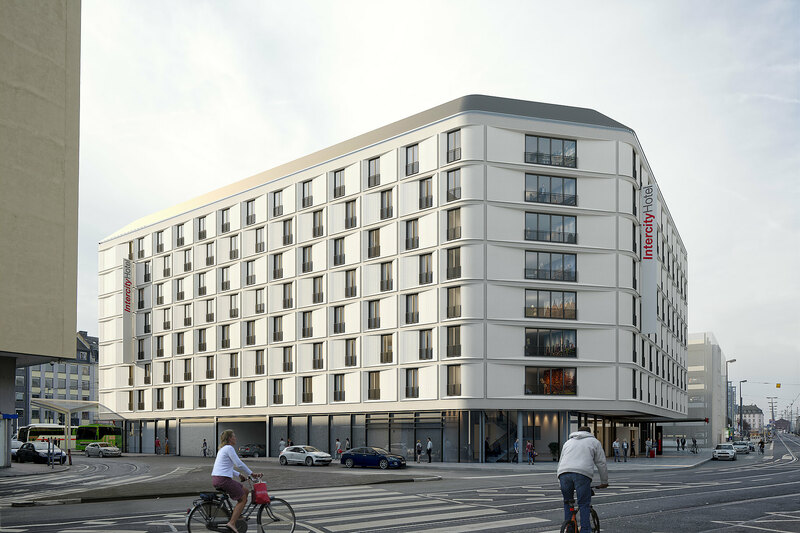 Directly adjacent to Frankfurt`s main station, the new IntercityHotel Frankfurt Central Station South has opened its doors. With over 400 rooms the hotel is both the newest flagship building as well as the biggest building of the Steigenberger Group. The architecture was created by the Frankfurt-based architects Schneider+Schumacher. The interior design was styled by the italian architect Matteo Thun. The building also has six conference rooms, a bar and a restaurant. CA Immo has constructed the IntercityHotel Frankfurt Hauptbahnhof Süd as part of a new development of the entire area on the south of Frankfurt Central Station. Already in 2016, CA Immo had built an new car park with 350 spaces for cars and 300 bicycle spaces. Simultaneously with the construction of the hotel, CA Immo is also building a new long-distance coach station for Frankfurt. A total of 14 coach platforms will be opened by the beginning of 2019. The first platforms are already in operation.